Camarillo Plumbing is a trusted and highly reputable plumbing company serving the Camarillo community for over 72 years .We offer a diverse array of plumbing repair services including gas leak detection, repair water heaters and emergency plumbing services. Our superior services encompass all the plumbing repair needs in and around your home such as in the bathroom, kitchen, water heaters and sewers. 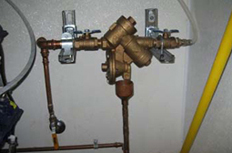 We provide these same plumbing services to residential, commercial and industrial customers. 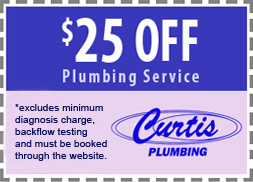 We offer emergency plumbing in Camarillo that is available 24 hours, for emergencies call us, 800-729-8149. Camarillo Plumbing, a full service plumber, has the technology and experience for gas leak detection, emergency plumbing and repair water heaters. For gas leak detection in Camarillo, we also offer a natural gas earthquake shut-off valve automatically shuts off your gas service when an earthquake of a sufficient magnitude occurs at your home's location. If you need someone to perform a gas leak detection in Camarillo, don’t hesitate to call us. We also repair water heater in Camarillo. We specialize in all the types of water heaters including storage water heaters, instantaneous water heaters, heat pump water heaters, indirect water heaters, and solar water heaters. For superior repair water heater in Camarillo call us. If you are in need of emergency plumbing in Camarillo, and would like a professional plumber to handle the problem in a timely manner, call 800-729-8149!